1. Start off by using a base coat or any clear nail polish and let it dry really well. 2. Use the tip guides to form the shape of an eye on the bottom part of your nails. 3. Paint this part white but take care not to paint over the tip guides. 4. 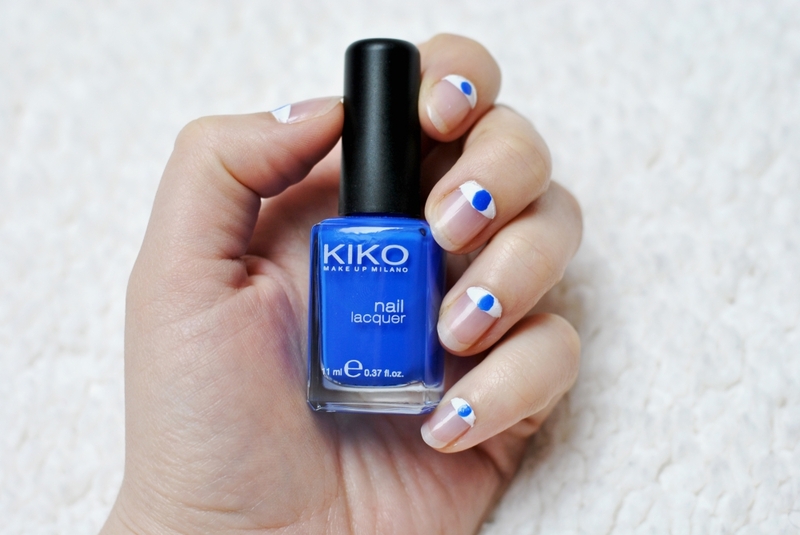 As soon as the white nail polish has entirely dried you can use a nail art pen like the Essence one mentioned above and paint a large blue dot (see 3rd picture). While most evil eyes have a light blue iris you can also use a darker blue colour but consider that as a result the pupil won't be apparent at first sight. 5. 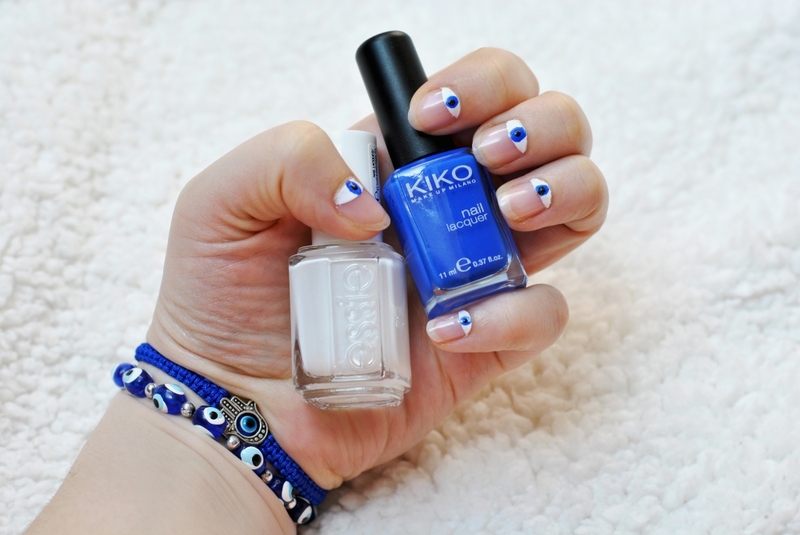 Take the smaller side of your nail art pen and finish the evil eye with a small black dot. 6. 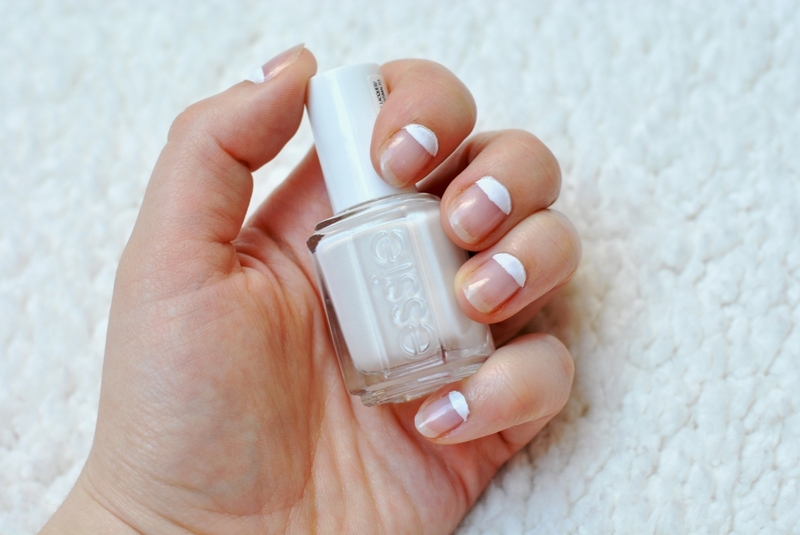 Finish your manicure off with a clear top coat. I used a UV top coat because I didn't have any other at hand but this coincidence made me realize that UV top coats give your nails a really pretty and healthy looking shimmer and that they also make your white nail polish look even whiter! What do you guys think of this fancy nail art? Do evil eyes fascinate you as much as me? So cool! HAHAHA Who are you warding off Carmen? You did a great job doll. Das sieht einfach nur super gut aus!!!! Top!!! 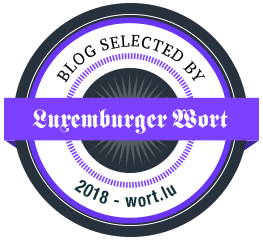 Ich muss das unbedingt auch ausprobieren. Das sieht absolut hammer - hammer - hammer mäßig aus. Die Armbänder dazu sind ne Wucht. Super original I totally adore it! I love the evil eye! I have one on my key ring and as it happens it's my current favourite song by Franz Ferdinand. Sieht toll aus, sowas hab ich in der InStyle gesehen! 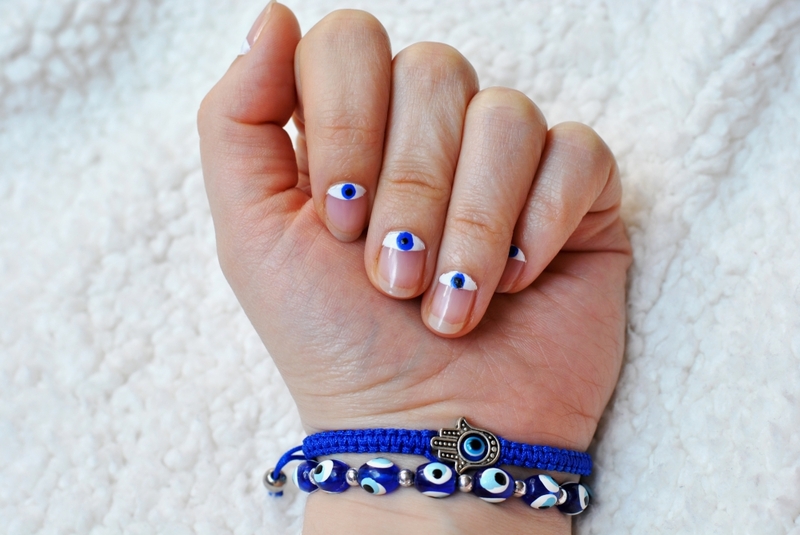 I haven't been much of a fan of the evil eye trend but you are so creative in doing this manicure! Thanks for stopping by dear...I value your opinion. Oooh I love this nail design! I'm obsessed with "eyes" haha. Thanks so much for the tutorial. Will be trying this out tomorrow, though I'm sure they won't end up looking as neat as yours. Amazing and it's sound easy to do!